← Something’s “fishy” in big banks . . . Everywhere I turn the press and critics are talking about how the culture of big banking in the UK is broken. They blame the culture on all sorts of ills, from greed to lack of respect for diversity to the Libor rate fixing scandal just uncovered, to rogue traders that lose billions. But do they really understand what they mean when they use the term culture? I doubt it, since very few of these critics can cite real examples of the current banking culture and how it impacts the important issues of trust, respect, excessive risk taking, poor teamwork, feeling “above the rules”, etc. 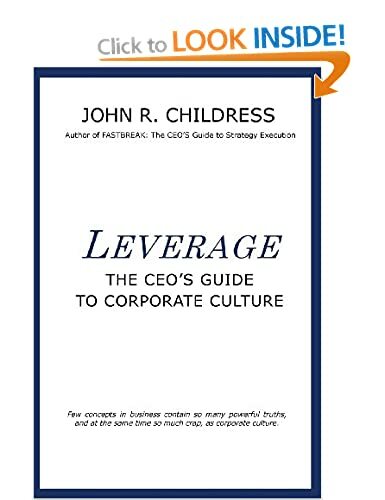 In a previous blog I helped to define what culture is and isn’t (What is corporate culture . . . ). In a nutshell, culture is the “habitual way in which people go about solving business problems and interacting with each other”. And while culture is visible as behaviours (how people behave), behaviour is the result of culture, not the cause. The cause of most repeatable, habitual behaviours in organisations can usually be found in the internal systems, processes and procedures (written and unwritten) that people follow to get work done. For example, the policy and process of “forced stack ranking” of all Microsoft employees on every project has resulted in such behaviours as heightened internal competitiveness, resulting in greatly reduced innovation. As a result of such policies and processes, the Microsoft culture is bringing the organisation to a competitive standstill. Now, let’s look at just one of the many big bank processes, this one unwritten yet still very powerful, that contributes to the ineffective culture within big banks today. It’s the conference call. Most non-business people would be amazed at the number of conference calls that take place inside of big banks in one day. A conference between bank executives from four different continents, bringing together dozens of people, is not uncommon. Besides the time zone differences, there are national and language difficulties to contend with. One would imagine that people would need to concentrate hard in order to understand the various discussions and to accomplish the agenda. Wrong! Here’s how a typical big bank conference call goes. First of all, most of the time the conference callers stay in their offices to take the call, even if they are in the same building or on the same floor. (One of the values of a meeting is to get people together physically so that they can build strong communication pathways, better understand where each other are coming from and read the clues of body language and facial expressions so important in human to human understanding. there is very little “eyeball to eyeball”.) So, those who easily could get together in one room don’t. Why? Because they consider these calls boring and a waste of time. Get the picture? Very few people are fully paying attention, yet there are serious issues to deal with and difficult multi-national issues as well. Instead of really listening and talking out issues of disagreement, they send rude and insulting texts to their friends about their colleagues. Let me ask you this, if all these people were in a room where they could be seen and all these texts and messages were made visible, what would you do as the leader of the meeting? How long do you think this type of behaviour would continue? So, you might ask, why does this type of behaviour go on at the management and executive level? Simple. Because the leadership of banking allows it to continue. If you allow bad behaviour to continue, it becomes “the norm”, which soon becomes ossified as the culture! By not having clear meeting ground rules and by not enforcing them, leadership is creating a culture that is not only highly inefficient and wasteful, but fosters lack of respect and distrust as well. Just one example among many more. I am certain my readers who have worked in banking can come up with dozens of such internal “processes” that collectively contribute to the fact that the “culture of banking is broken”! This entry was posted in consulting, corporate culture, Human Psychology, John R Childress, John's views on the world, leadership, Organization Behavior, Psychology, the business of business and tagged banking culture, competition, conference call, Corporate Culture, innovation, lack of respect, Libor scandal, Microsoft, multitasking, Steve Ballmer, UK bank culture. Bookmark the permalink. I don’t think this is unique to banks in the UK…I saw it in Big Law too. Over time, whatever the original mission of a professional service firm was, becomes dilutive as the organization gives way to short-term ideas (some quite good) for gaining market share. The fundamentals get obfuscated by the attention given to targeted growth. 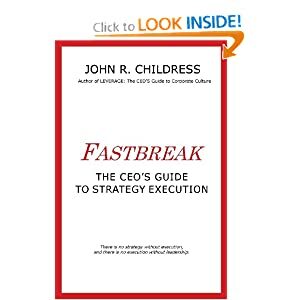 I’m all for strategic growth – but invariably the plans are are not discussed with the same collaborative dialogue, power becomes increasingly isolated to a cabal that will agree within itself and communicate outwardly after the fact…Ultimately, all that was once held as part of the organizational gestalt fades away, with little cohesion and shared purpose in its wake. I once had a phone convo with a new contact for the first time. This was a networking call. A getting to know you session. She was pleasant and engaging though at times, throughout the call, I sensed she wasn’t present. After our call, I checked her Twitter feed only to find she was tweeting during the convo. The culture of “communication” is broken.